When it comes to baked goods, we eat with our eyes as much as our mouths. Even though your pastry might be the best in the world, if it’s not presented with colors and sparkles, it won’t be the first thing people gravitate to when they see it on the table. 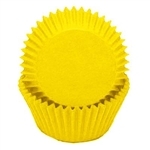 Sweet Treat Supply has a wide selection of cupcake liners and baking cups for all sorts of pastries and candy. 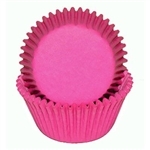 Our cupcake wrappers and candy wrappers are low-cost and used by amateurs and professionals alike. Our selection is perfect for seasonal parties, birthdays, baby showers and more. 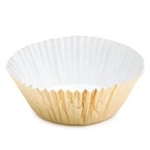 We have paper liners, foil liners and cupcake paper cups. Sweet Treat Supply products come in packs of 50 or more, to ensure that you get the most product for your money. Our low prices ensure that businesses can buy quality products in bulk without breaking their budget. 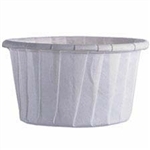 We’re confident your pastries and candies will shine in our wrappers and liners. Shop today for free shipping on orders of $100 or more!